The former royal seat of Wroclaw in the southwest of Poland justifiably earned the title of 'European Best Destination 2018': The city is a fantastic and varied destination with its rich history and technological innovations. Take a trip back in time at the city’s Royal Palace, the Japanese Garden and the Raclawice Panorama or experience sustainable innovations in the Hydropolis. Wroclaw is sure to have something to please every taste. 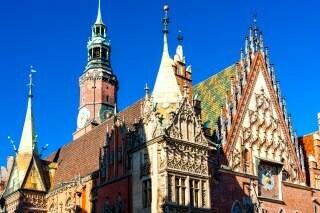 We have put together a summary of the main sights in Wroclaw. The Old Town Hall of Wroclaw is located in the middle of Rynek, one of the biggest former market squares in Poland. The imposing building, constructed in the Gothic and Renaissance style, contains the Museum of Bourgeois Art. A wealth of historic and contemporary exhibits associated with the arts and crafts of the city of Wroclaw are on display here. The Museum of Bourgeois Art also regularly stages special exhibitions by artists such as Andy Warhol and Salvador Dalí. Former royal residence, now home to the City Museum of Wroclaw: The Royal Palace is situated on the edge of the old town and is a few minutes’ walk from the Old Town Hall. Formerly known as Spaetgen’s Palace, the Royal Palace turned the city of Wroclaw into a royal seat – along with Berlin and Königsberg – under the rule of Frederick II. Today, the Royal Palace is home to the main section of the City Museum. Here visitors can find out more about the history of the city and view the royal apartments. Once you’ve marvelled at the magnificent interior, stretch your legs in the adjoining Baroque Garden. 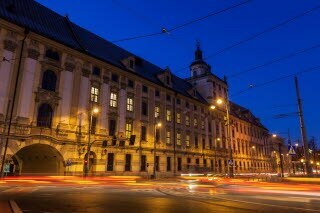 The oldest college in the city: Wroclaw University is also located on the edge of the old town. It was founded over 300 years ago and is the oldest college in the city. The Museum of Wroclaw University is open to visitors, with its imposing Aula Leopoldina and the Oratorium Marianum music hall, in which over 200 famous musicians have performed concerts. In the Mathematical Tower of the Observatory, visitors can admire the antique interiors dating back to the 16th and 17th centuries. Polish History at a Glance: The Raclawice Panorama is another highlight of the city. The artists Jan Styka and Wojciech Kossak painted the monumental cycloramic painting, measuring 15 x 114 m, to mark the 100th anniversary of the Kościuszko uprising of 1894. It shows the Battle of Raclawice on 4 April 1794 and appears to be in 3D due to the style and technique of the painting. To date, it’s the only work of its kind still to exist in Poland and is housed in a purpose-built round building. Wroclaw’s Hydropolis is the urban centre of environmental education. Opened in 2015, the facility is unique in Poland and one of very few worldwide. Thanks to cutting edge technology, the theme here is water as an exceptional substance, which people are in daily contact with but whose character very few people truly understand. From the function of water in the human body through to the ocean currents, the facility features around 70 interactive devices and multimedia installations designed to bring the essential element of water to life. The Centennial Hall (Jahrhunderthalle) is located in an eastern district of the city. 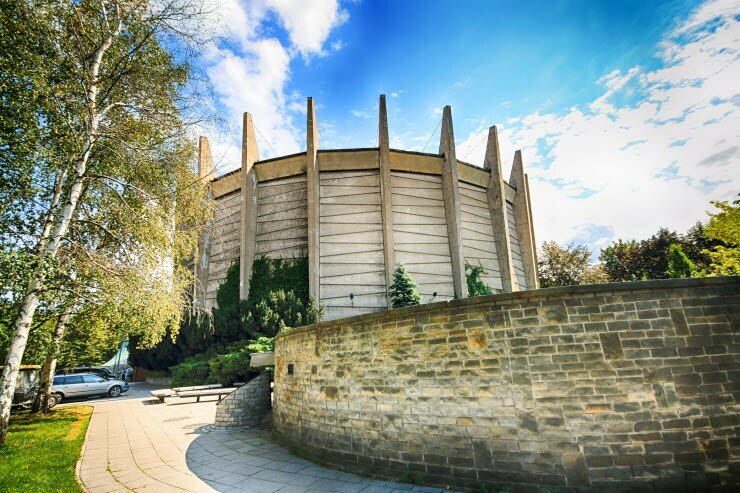 This architectural masterpiece was designed by Max Berg in the 20th century to mark the international exhibition on the 100th anniversary of the Battle of Leipzig and has been a UNESCO World Cultural Heritage Site since 2006. Currently, it’s used primarily for conferences, congresses, and cultural and sporting events. A permanent exhibition contains attractive and interactive displays, marking elements of the history of the city of Wroclaw. 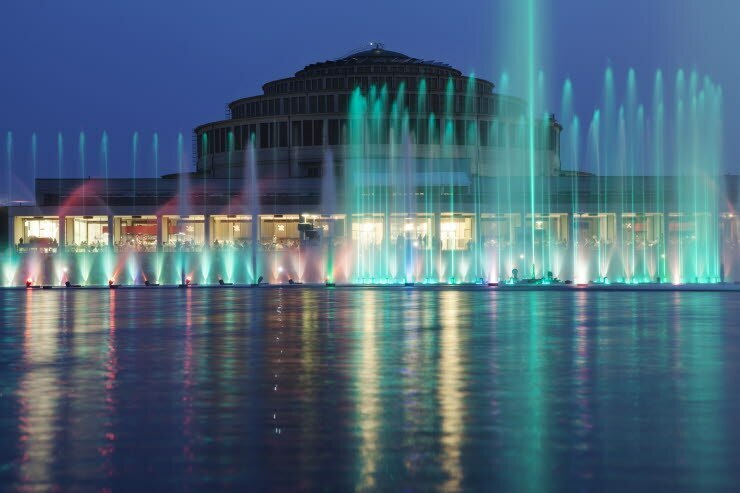 Visitors can also enjoy sound and light shows under the dome of the UNESCO building. This is a particularly exciting way to showcase the dome with its 65-metre span. Not far from the Centennial Hall is Szczytnicki park. This is the city’s biggest park and was originally laid out in 1785 as a private garden before later being joined on to the city park. 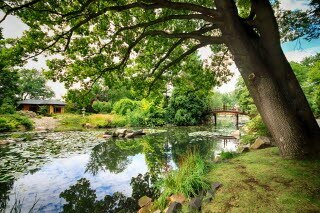 Its main attraction is the Japanese garden. This is located in the southern part of the park and was also designed on the occasion of the centenary exhibition. The park contains many ornamental features in Japanese style, including the Azumaya Pavilion, a lake complex with viewing pavilion and entrance gate. Other attractions in the Szczytnicki park are the Arboretum and the Rosarium. 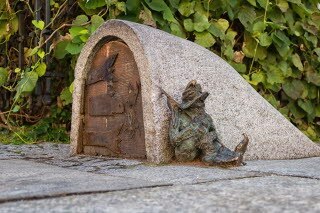 Constant companions on your tour of discovery through Wroclaw, including here in the park, are the Wroclaw Dwarfs. Wroclaw’s zoological gardens are also close by. The wide variety of animals here make it Poland’s largest zoo. Around 10,500 animals live on this 33 hectare site. But it’s not just the animals that attract visitors to the zoo. They can also enjoy the architecture of the various historical buildings, such as the bear tower, the elephant house and the monkey pavilion. 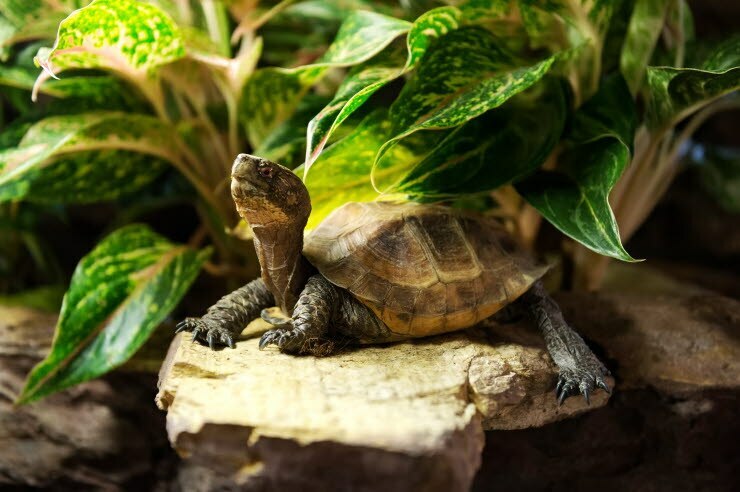 Another attraction is the African house, known as Afrykarium, with its themed areas including the Red Sea, hippos and big lakes, shark pool, Namibia’s Skeleton Coast and the Congo hall. Just a few minutes’ walk from the old town, Scandic Wroclaw is the ideal base for discovering Wroclaw. From here you can comfortably reach many of the city’s tourist attractions on foot. Our rooms offer all the creature comforts that you could wish for after an exciting day exploring beautiful Wroclaw. Book now and get to know the beautiful ‘Venice of Poland’!